Several years after the 9/11 terror attacks, the District’s only heliport, on South Capitol Street, was shut down for safety reasons. Now, there’s a push to get it up and running again. D.C. Delegate Eleanor Holmes Norton sent a letter to Transportation Safety Administration Administrator John Pistole on Wednesday requesting that the TSA reopen the heliport. 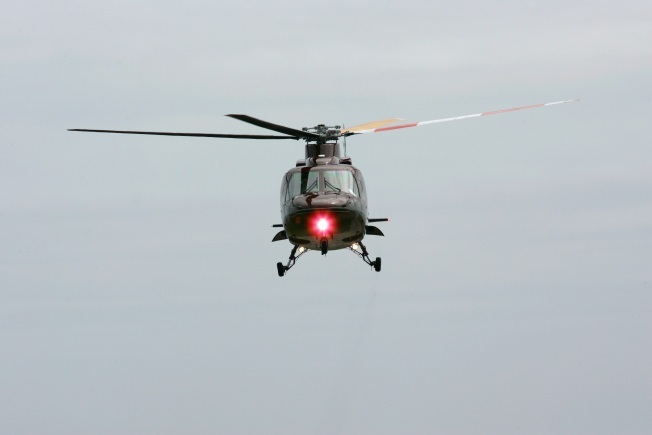 Norton believes restoring helicopter service in D.C. would be good for business in the region. She intends to enlist her colleagues as well in this effort. As we near a decade of post-9/11 security, I hope you agree that it is time to review and revise a reactionary decision the nation was forced to make after 9/11. I write to urge you to allow the re-opening of the South Capitol Street Heliport (SCSH) for business aviation helicopter traffic. Following the terrorist attacks of September 11, 2001 (9/11), the newly formed Transportation Security Administration (TSA) systematically shut down SCSH to business aviation without any explanation or means to appeal the sweeping, arbitrary regulations. Despite SCSH's generous and vital assistance to first responders and others on and after 9/11, and its steadfast pursuit of an appeal, SCSH remains closed nearly ten years after 9/11 except for use by law enforcement, military and medical evacuation traffic. SCSH opened in 1998, following a fiscal year 1984 transportation appropriations bill directing the Secretary of Transportation to conduct a feasibility study of a downtown Washington, D.C. heliport. SCSH quickly grew from five regular corporate operators to 41, and its clientele included motion picture industry helicopters and many other business aviation clients, emergency management operations and the Metropolitan Police Department, which still uses SCSH as its aircraft base, with 12 officers. For years, SCSH thrived and brought a great deal of business into the District. On 9/11, when terrorists struck the Pentagon and all air travel was grounded, the SCSH played an indispensable role as a base of operations for first responders. For several days after 9/11, SCSH essentially operated as a command center, offering not only air but water access for first responders due to its location on the Anacostia River. Helicopters carrying first responders to and from the Pentagon flew continuously for several days after 9/11. However, despite SCSH's service to our country on 9/11, shortly after 9/11 TSA severely limited commercial operations at the heliport by implementing a waiver program whereby helicopter operators were required to report to the Federal Aviation Administration (FAA) and TSA all passengers, crew and security personnel aboard each flight, and then abruptly prohibited commercial operations altogether. The negative economic effect of the shutdown on the region during this severe economic turndown has been substantial and has crippled the operators of SCSH, the only publicly accessible heliport in the city, while the government has been sure to use SCSH facilities only for police, military and emergency operations. Worse, SCSH has been shut out of the decision-making process. Because of TSA's general aviation ban, SCSH has lost all of its general aviation patrons, such as Honeywell Flight Operations (Honeywell). For many years, Honeywell was a regular user of both Reagan National Airport (DCA) and SCSH, to the great benefit of the national capital region, but following 9/11 Honeywell and other helicopter operations were restricted from D.C. Since 9/11, Honeywell has demonstrated compliance with the requirements of TSA's D.C. Access Standard Security Program (DASSP), which TSA established to ensure that an operator meets the highest level of safety and security requirements and is not a threat. Under the DASSP program, Honeywell has become one of the top five business aviation users of DCA; however, they remain unable to use SCSH. Surely, if companies have DASSP approval to operate at DCA, they should be given authorization to operate at SCSH. Accordingly, I have outlined a proposal below that I believe can be used for re-opening SCSH to DASSP-approved operators. 1) Allow all DASSP-approved operators. 2) DASSP waiver request to be submitted at least two hours prior to departure. Coordination Center to receive final clearance for departure. 5) Flight plan to be filed with Leesburg Flight Service Station. 7) No Armed Security Officer required. Screeners (ACS) or local police designated by the TSA to act as federal screeners. This proposal for operations is similar to TSA's United Nations General Assembly temporary flight restriction put in place every September in New York city, although more restrictive in that all operators will be DASSP-approved. The requirement for TSA screening at heliports is to facilitate more efficient transport from city center to city center. It is inefficient to make helicopters depart from heliports, fly to an airport for screening, and then continue to their destination heliport. The prolonged and uncompensated shutdown of SCSH is a violation of due process the heliport and punitive to the economy of this region. Please scrutinize the proposal I have outlined. I will seek to schedule a meeting with you shortly to discuss this and other alternatives.